Time sure flies... I'm coming up on my 4th blogiversary. As I close the book on 2017, I've spent some time reflecting on the last year and looking forward to the coming year. In short, I'm excited! My goals for 2017 were Finishes, Patterns, and Tips & Tutorials. I wrote numerous patterns in 2017. My first pattern, Knock Knock, is an exclusive baby quilt pattern written for my newsletter subscribers and based on the Hummingbirds quilt. I wrote three patterns for Modern By The Yard. Summer Splash was in issue #5 and Fall Fleurish was in issue #6. The third quilt will be out in issue #7 of the e-zine. In October, I released my first pattern for sale on Craftsy, the Back and Forth baby quilt. Lastly, I wrote three patterns which I look forward to sharing with you in their release later this quarter. These three patterns are modern designs, created with solids in mind, but flexible enough to feature print fabrics. Be sure to sign up for my newsletter if you aren't already a subscriber so you don't miss the release (and sneak peeks) of the new patterns. 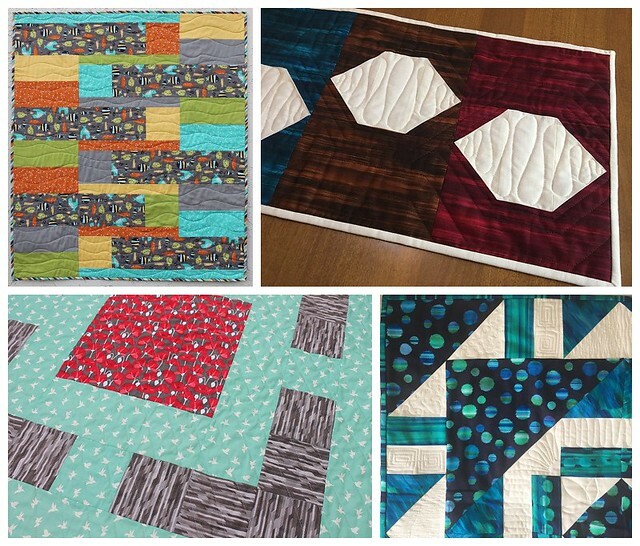 My most popular blog post of the year was my Ombre HST Quilt Pattern tutorial from February. I originally designed it for my friend Mary to use, but I've gotten a ton of lovely feedback from people. 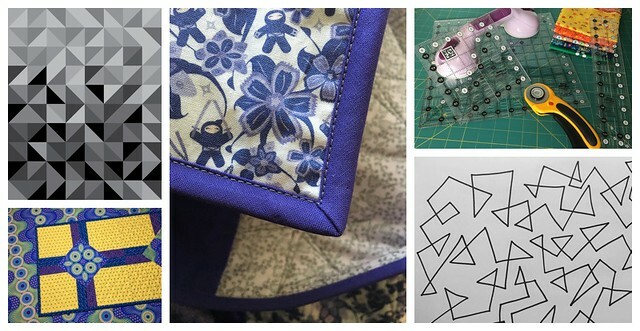 I also shared tips and tutorials for machine binding, accurate fabric cutting, triangular meander quilting, and the quilt block I used in my table runner. One tip or tutorial post every couple months is probably a good pace for me since these are the most time intensive types of blog posts. As I enter a new year, I'm thinking about what my goals are for this year. We're gearing up for a remodel at my house (I think that makes my word of the year chaos! ), so I'm weary of making too many big goals. But I can't really help myself. I really loved teaching this year and want to do more of it. 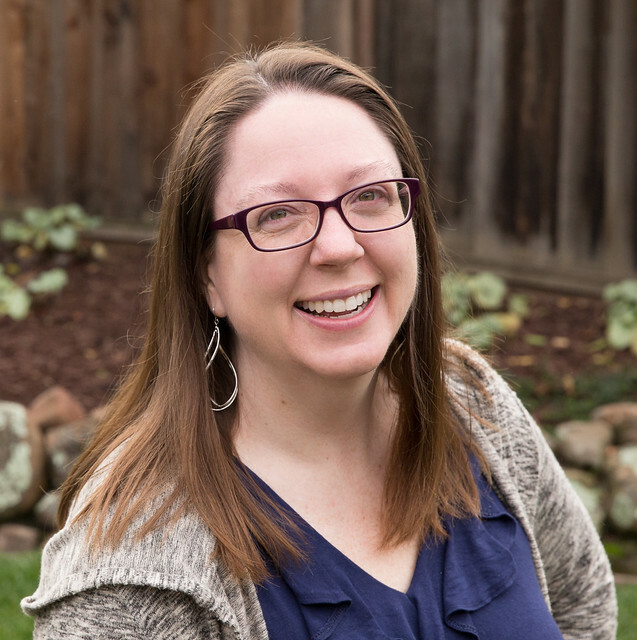 I plan to participate in two Meet the Teacher events in California this Spring. I'm currently available to speak and teach within 50 miles of San Jose, California, and regionally in the Western US starting mid-2018. See more on my teaching page. I'm also intrigued by the idea of doing online teaching. I may not have the bandwidth for that this year, but I'll be thinking about how to get that going. The three patterns I mentioned above are in various stages of testing. (Thank you to my testers!) I will release these patterns in Q1 of this year. I'd like to add a store page on Sarah Goer Quilts to coincide with that release. I have a few focuses for my design work this year. I want to use more solids. I intend to continue with my Planned Improv design theme. I also want to work with modern traditionalism design. And lastly, I want to use letters of the alphabet as inspiration for my quilt design. The first of these projects is already underway! 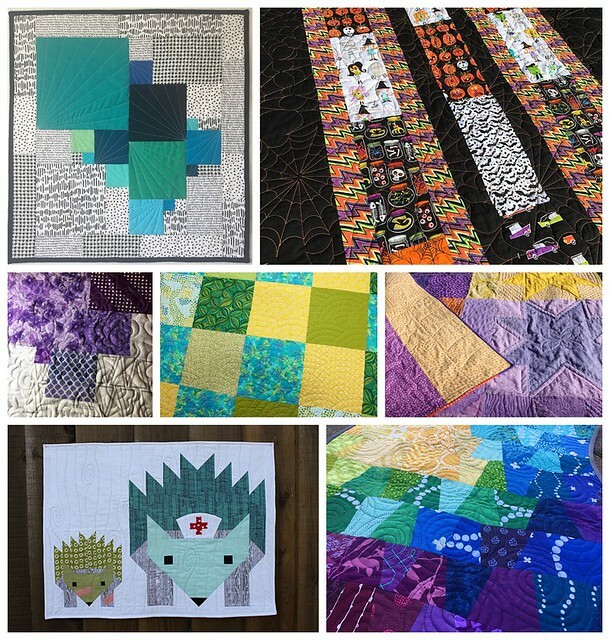 I will continue to participate in quilt challenges (starting with Project Quilting on Sunday - join me! ), but I'll be adding a layer onto these challenges by incorporating my own design goals from above. I've sewn garments for the kids, but I haven't sewn anything for myself (as an adult). I missed participating in Bernie's Summer Sew Along due to technical difficulties (I ordered the wrong size pattern), but I'd still like to make the top. Living in California, I'm in short sleeves year round, so this may be some winter sewing. In general, I'd like to be thoughtful about what pieces I add to my wardrobe so they will be clothes that actually get worn. Right now I'm mostly taking some notes for potential makes. What are your favorite garment patterns? So there it is. My biggest goal for the year will involve letting things go when life gets in the way of my quilting and business goals. Happy New Year! 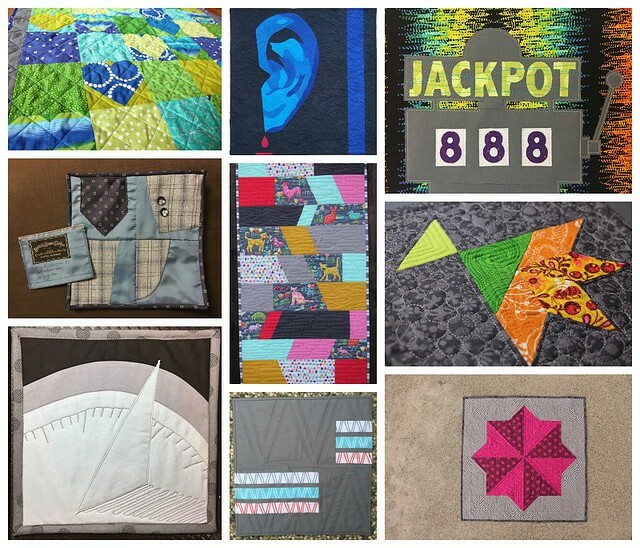 Posted in Quilting on January 2, 2018 by sarah. That was a fun one to make. Glad you're joining in on Project Quilting! Great accomplishments for the year - congrats!